A new report outlines the steps which need to be taken to ensure the U.K. remains at the forefront of wave and tidal energy sectors. The Wave & Tidal Transformation report released today by the National Subsea Research Initiative (NSRI) highlights the opportunities and challenges for technology developers and subsea supply chain companies looking to do business in these sectors. It outlines how and where companies can get involved with the developing sector and the requirements for industry driven research. To date, more than £450 million has been spent across the U.K. wave and tidal supply chain and the global industry is forecast to be worth up to £76 billion by 2050. 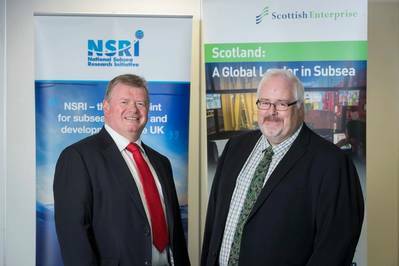 Scottish Energy Minister, Paul Wheelhouse has backed the report and spoke out in favor of NSRI’s plans to help companies capitalize on the huge opportunities the sectors present. “I welcome this report which further highlights the enormous potential of our wave and tidal energy industries,” he said. Tony Laing, NSRI director of research and market acceleration, commented, “Like most emerging sectors, the wave and tidal industries need to identify ways to reduce costs and improve efficiency, and our subsea technology industry can play a very important part in that, leveraging value of knowledge transfer across the whole blue economy. Andy McDonald, sector director, energy and low carbon technologies at Scottish Enterprise, commented, “To ensure Scotland maintains its world leading position in subsea engineering, we must continue to develop new opportunities, whilst broadening the delivery of new technology. Key to this is looking at how we adapt the knowledge and experience gained from more than 40 years in the oil and gas sector, to support the ongoing development of wave and tidal energy, which has huge economic potential for Scotland.